Aavin Salem Technician Exam Syllabus 2018 2019 | Aavin Salem Technician, Manager, Executive (Office) Syllabus and Exam Pattern are given on this page. Aavin Salem Technician Syllabus plays a prominent role in any exam preparation. Without having Aavin Salem Technician syllabus and Exam pattern nobody can know which subjects to prepare for the examination. The selection will be made in two successive stages, viz. (i) Written Examination – Objective type questions on English knowledge, Test of Reasoning and Quantitative Aptitude, General knowledge and Subject knowledge. (ii) Oral Test in the form of an interview in respect of candidates who have secured top marks in the written test. 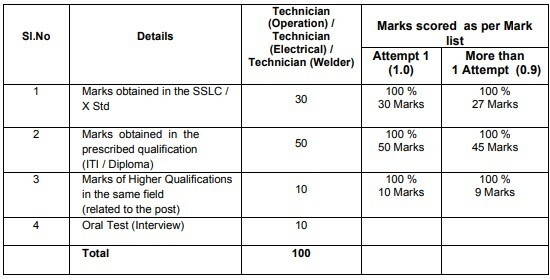 b) Selection will be made based on the marks obtained by the candidate in the academic qualification and oral test as below: – for the Post of Technician (Operation) /Technician (Electrical) and Technician (Welder).